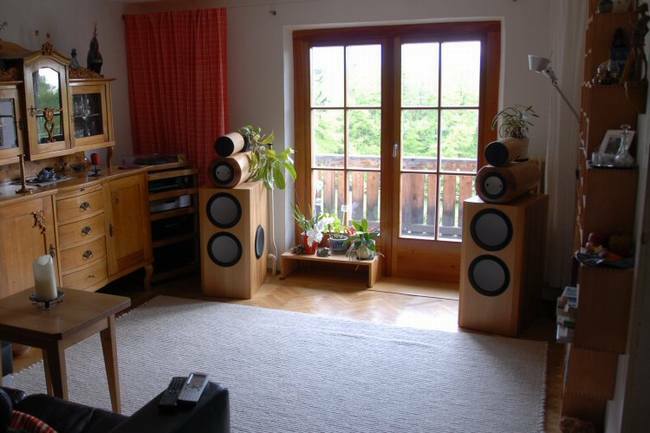 A short presentation from Roland Hitsch will make it more obvious why he can make such nice loudspeakers. Roland has his own company for making organs and restoring them. 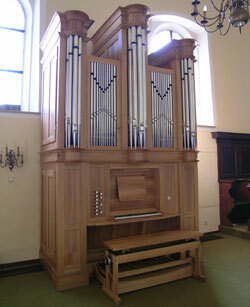 The company is called Orgelbau Hitsch and located in Salzburg, Austria. 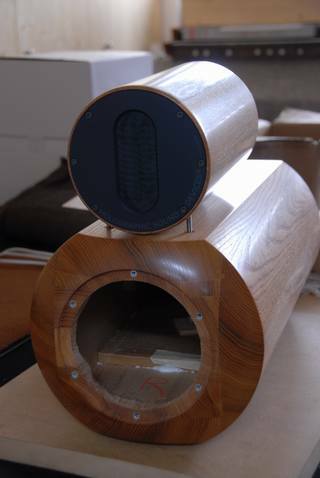 Roland has build some DIY loudspeakers in his time, but the project presented here is his first fully active one. Each box is equipped with Mundorf AMT2510c, Accuton C-173-6-90 in 10 liters with IHA, Accuton S 280-6-282 and 2 x Accuton P280 (passive radiators) with 3db point at 23 Hz in 100 liters box. All of this is powered with a Coolback II 600 on the back of each box. 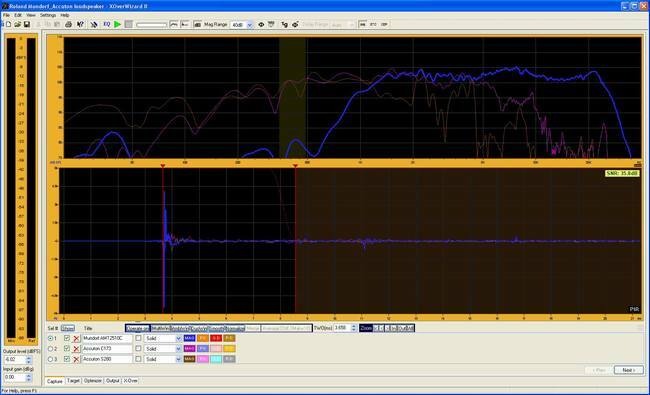 To source the Coolbacks, Roland uses a Audionet MAP V2 (pre-amplifier / surround processor) and a TEAC DV-50 (universal player). 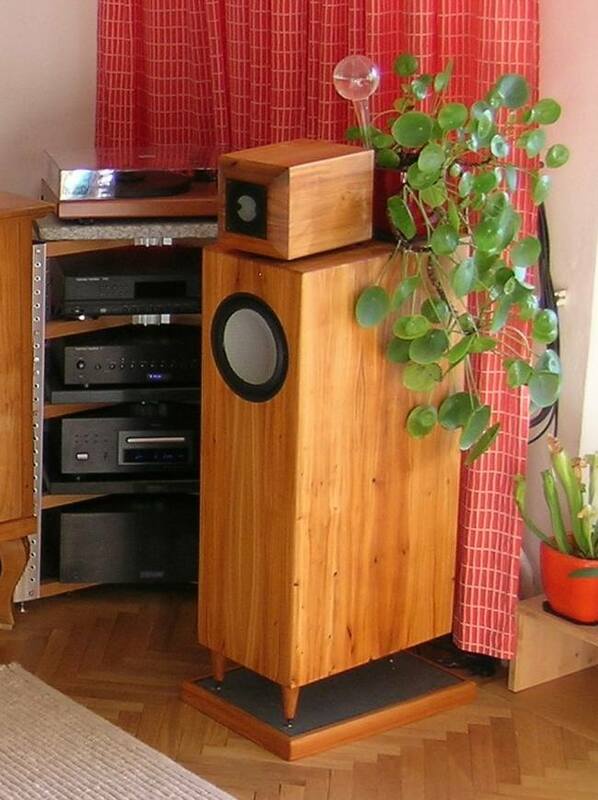 This is indeed a solid and beautiful loudspeaker, but it has one "flaw"
- there is a free horizontal plane where the woman of the house can place her plant. The measurements were exported as text files for each driver so that Roland could import them into the free "old" XOverWizard that works with Coolback II 600. "Your measuring was very good and important for me. Thank's for that another time! I have tested a couple of different setups right now. They all sound really great. But I think there is still quite a headroom left. Sooner or later I will have to make measurements in my room by myself. 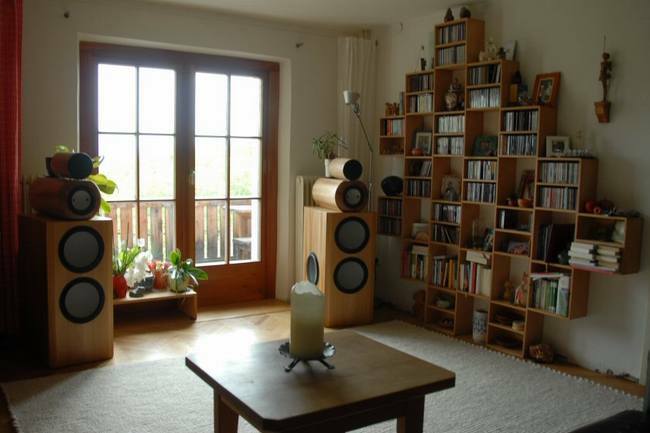 (Latest, when I will realize my surround speakers. 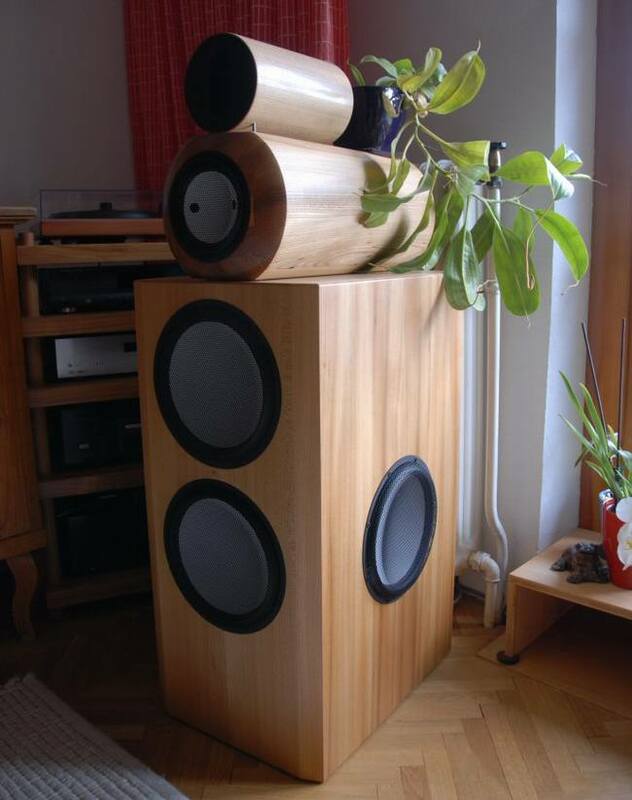 I'm thinking about this"
"Before my 3-Way Speakers I've had a pair of "Chorda" from Hobby Hifi with the finest Mundorf-parts in the crossover (like Silver/Gold/Oil-Capacitors and huge cfc inductors) powered by a big Thel-Audio dual-mono amplifier with all the trimings manufactured by Klaus Lorenz from Jean Audio. But there is no compareson. The active way with your Coolback is much more open, direct, fast, clean and colourful. There is no doubt, even to my wife (and she can be quite critical)." The new one's should sound as good as they did, but reach the limits a little later. Since now they sound much better, but as mentioned there is still a headroom left." 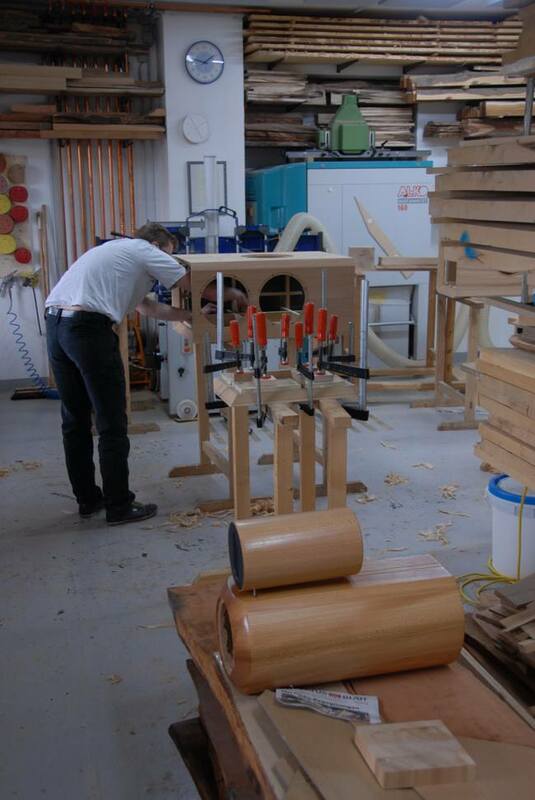 "The wood I've used is from elmtree. 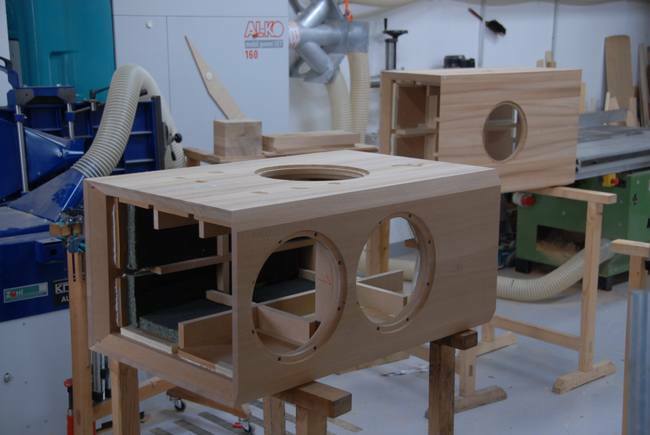 (The cabinet of the organ you see in this gallery is also made from elm). The surface is just prepared with fine sanding, natural oil and polished wax. 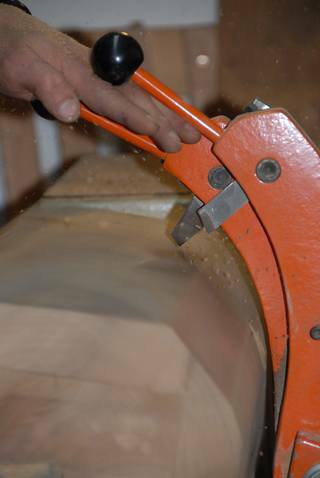 The panels which are glued onto the MDF are corrugated cardboard filled with fine quartz sand. They have a thickness of 15mm and 18Kg/m². They are called "phonewell" - look up in the web for more information."